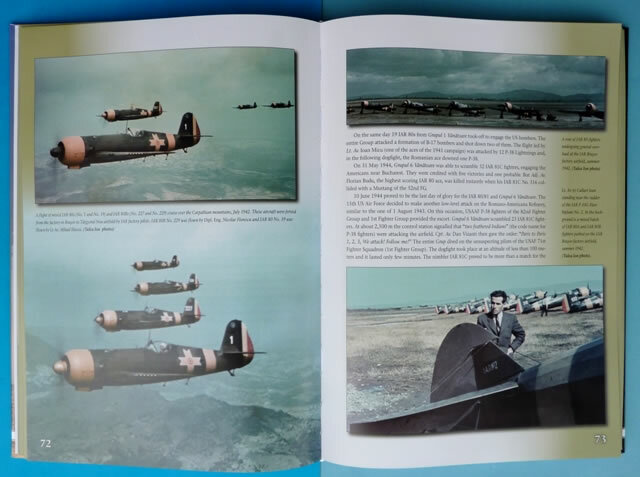 Excellent photographic coverage – some images not previously published; A plethora of competent colour profiles; a narrative that is both informative and pleasant to read. 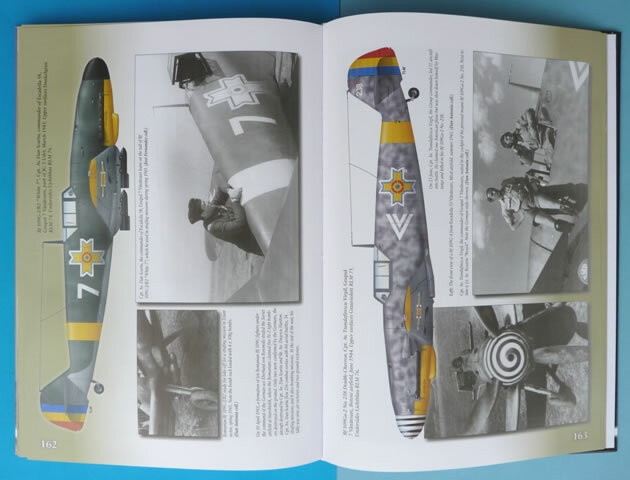 There is not a lot of reliable information around on the colours and markings of Romanian fighter aircraft. This book helps to redress the balance and presents to the reader a wealth of information that covers not only the “regulation” aircraft, but the captured ones as well. 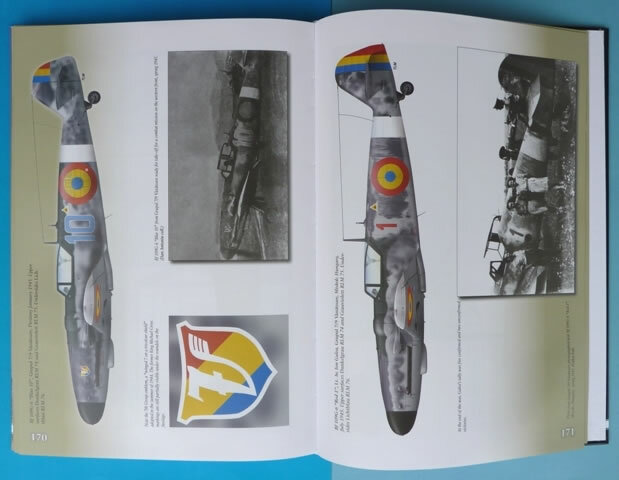 All too often the colours of Romanian fighter aircraft are relegated to footnotes. This is unfortunate as it’s quite a fascinating story. Romania aligned itself with Germany and on 22 June 1941 went to war against the USSR. For the next three years the pilots of the Romanian fighter units fought against the Soviet forces. In doing so they helped to reclaim Bessarabia and Northern Bukovina, assist in the siege of Odessa, and also participate in the battles on the Stalingrad and Crimean Fronts. From August 1943, the Romanians had a new enemy in their skies to contend with. This was in the form of the USAAF and the following aerial campaigns were hard fought affairs. The superior Allied aircraft soon took their toll on the locals but despite being outnumbered 5:1, the Romanians still managed to score quite a few victories. In August 1944 Romania changed sides and was now fighting with the Allies against the declining might of the Luftwaffe. The result of all this is an intriguing array of subjects for the enthusiast to enjoy. The purpose of this book is to tell the story of these aircraft and specifically to concentrate on their camouflage and markings. There are no less than 100 profiles to do this and it’s all backed up with over 150 photographs, many not having been published before. A wide variety of machines are covered within the 192 pages. All of the colour artwork is beautifully rendered and the accompanying captions are informative and enlightening. It’s not just the aircraft that are focused on in this hard-backed A4 publication. The pilots are also discussed as well as the units they served with. Tables in the appendix help explain the structure of these combat elements and to explain the rank hierarchy with its British equivalents. 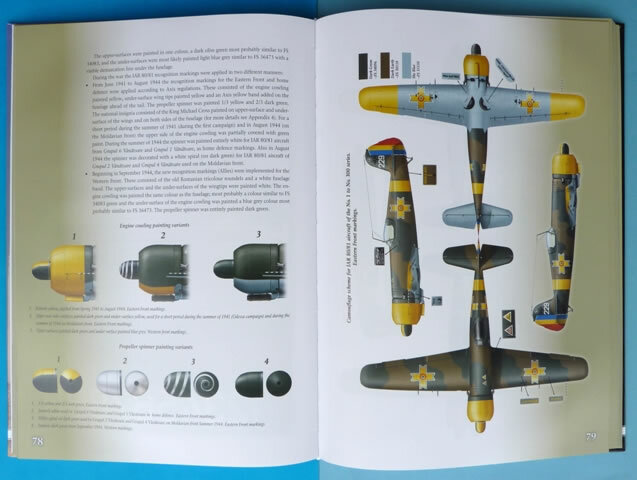 To aid the modeller, a chart is included that lists dimensions for all the various types of crosses and roundels seen on Romanian aircraft. This is preceded by a comparison of aircraft colours matched to FS equivalents and popular hobby paints. 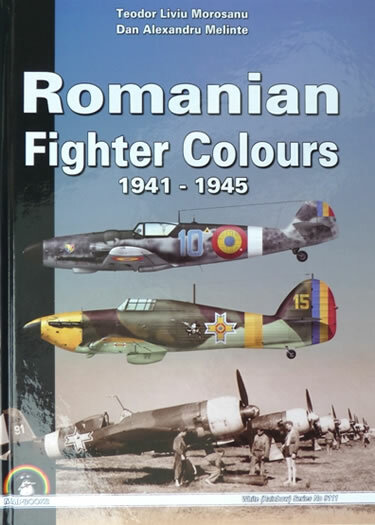 There are two main categories that form the bulk of the chapters...”Fighter aircraft in Romanian service” and “Captured fighter aircraft in Romanian service”. The former discusses types such as the PZL P.11 and P.24, Hawker Hurricane Mk.I, Heinkel He 112E, IAR 80/81, and Messerschmitt’s Bf 109E, Bf 109G, and Bf 110. Captured aircraft are made up of the early MiG-3, Polikarpov I-16 type 29, Focke Wulf Fw 190 F-8, as well as the Fw 190 A-8. There is certainly a lot of information to absorb in this book. The format is excellent in that the data is clearly laid out for easy reference. Having the aircraft’s colour profile next to the photo from whence it came is perfect. This makes it simple for the reader to see how the illustrator came to portray the subject. It was the dearth of information available that led the authors to study the topic and thus come up with this work. So with the help of numerous researchers and enthusiasts, we now have a publication that gives the topic some justice.